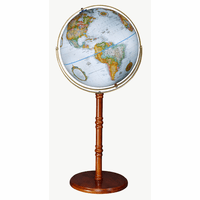 Add elegance and interest to your home or office with this 16' Commander globe in antique white that resembles old parchment maps. 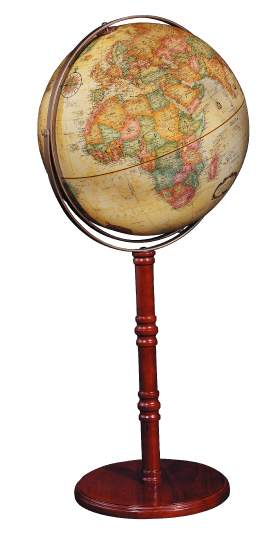 Each country is delineated by a color, and the globe features named cities, countries, continents and oceans. 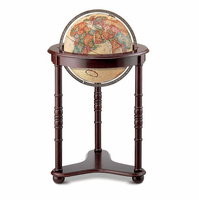 The globe has a gyro-matic meridian that is set in a rosewood finished hardwood base. 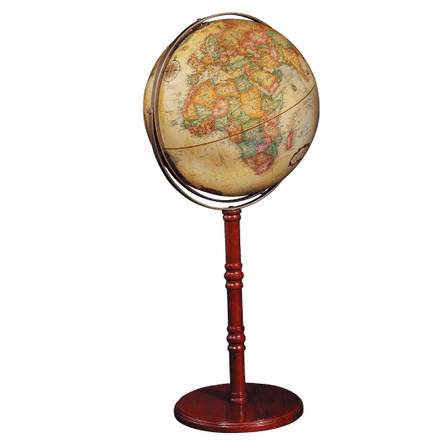 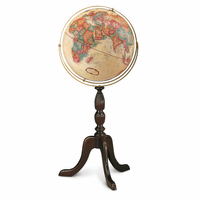 The center post removes to convert the stand from floor globe to table globe. 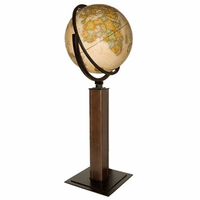 Total dimensions are 18' x 16' x 38', perfectly sized for adding a dramatic element to your space.